Armenia Tourism Blog: Enjoy Armenian Cuisine in Armenia! Enjoy Armenian Cuisine in Armenia! Armenian cuisine includes the foods and cooking techniques of the Armenian people, the Armenian diaspora and traditional Armenian foods and dishes. The Armenians have old recipes of dishes, which are known and favorite not only in Armenia, but also out of its borders. Like anywhere, the best food in Armenia is home cooking. Khorovats, khash, harissa, kufta, dolma, spas are Armenian national dishes. Khorovats is very tasty Armenian barbecue, which is national food. It is the most representative dish of Armenian cuisine served and enjoyed in restaurants and family gatherings. It is also one of the best fast food in Armenia. Khorovats is often made with the cuts of pork and potatoes. Armenians outside Armenia usually prefer lamb or beef depending on their background, and chicken is also popular. It is very tasty, when it is made in tonir. 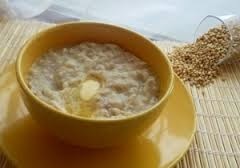 Armenians look forward cold weather for eating khash early in the morning. It consists of beef, pork or lamb feet that have been slow-cooked overnight in water. It is an old tradition, when all friends and relatives get together to eat tasty khash with crushed garlic and over crumbled dried lavash. Lavash, popular national Armenian bread, is a very thin layer of bread. A vegetarian version of khash replaces the meat with lentils. This version is also served over crumbled dry lavash but is topped with fried onions. Harissa is a porridge made of wheat and chicken meat cooked together for a long time, originally in the tonir but nowadays over a stove. Traditionally, harissa was prepared on feast days in communal pots and served to all comers. The wheat used in harissa is typically shelled wheat. Lamb or beef is also used as the harissa meat. It is served with butter. Kufta is a stuffed meatball made with beef or lamb. It is cooked in the water. One should cook it professionally for having meatballs. It is served sliced with butter. Now it is also served fried with mushrooms. In Armenian cuisine, both wrapped and stuffed dolma is made. 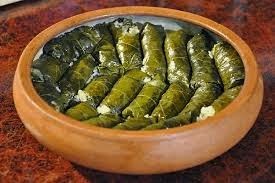 Wrapped dolma may use grape leaves (Armenians usually call it terevov tolma) or cabbage leaves (this one is called tpov tolma). Stuffed dolma may use eggplants, tomatoes, peppers, onions. Stuffings typically include lamb, beef or pork combined with rice and herbs. Often, several stuffed vegetables are cooked together. Spas is tasty and healthy Armenian soup, which may be served hot in the winter as soup or in a hot summer as a cool and refreshing drink. It consists of matzoon, groats and greens. My Russian friends liked it very much and always asked me to cook it for them. It does take some knowledge of Armenian food to enjoy the full variety, and you need to understand that recipes are prepared seasonally, using the freshest meats, vegetables, fruits, herbs and spices available. You can enjoy Armenian national dishes by visiting us!